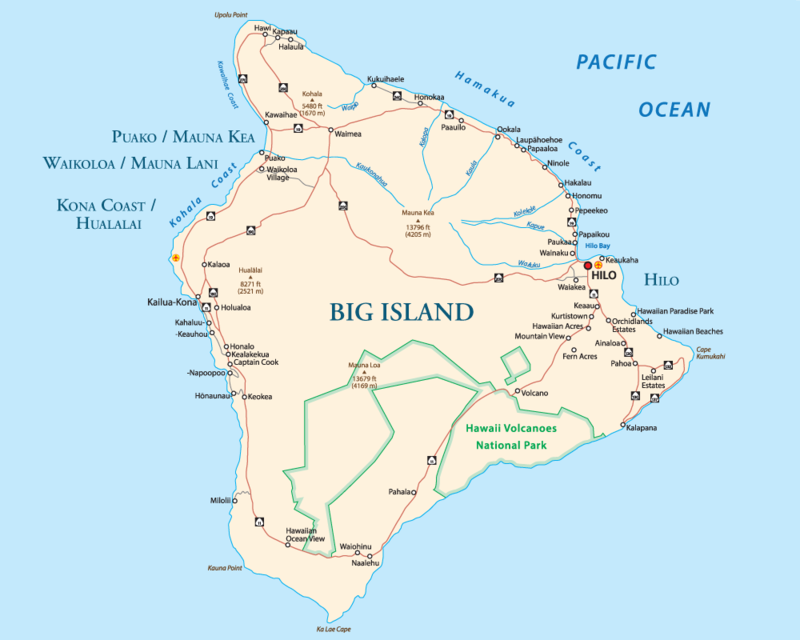 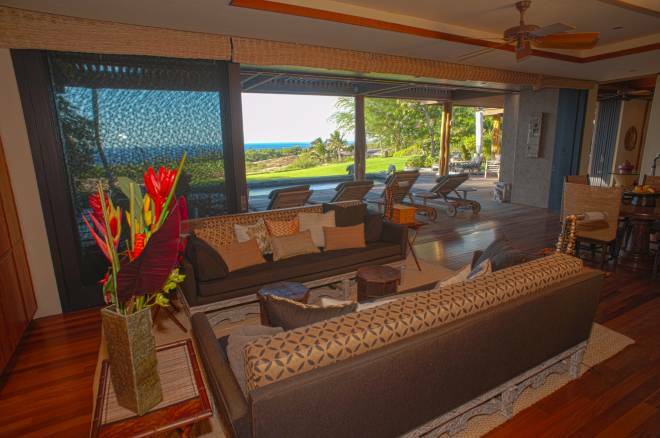 Mauna Kea Fairways South #18 – Luxury Vacation Homes, Inc. 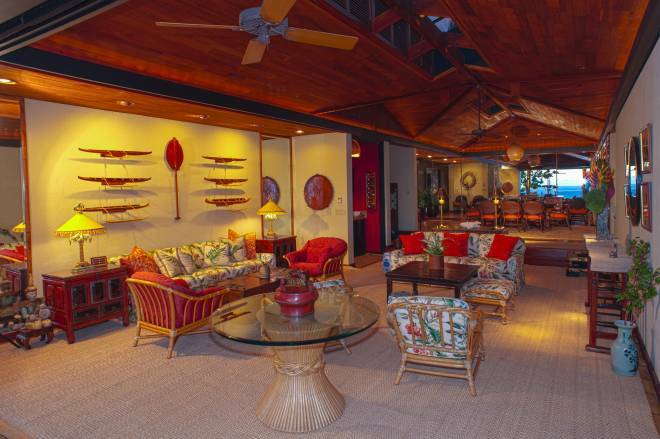 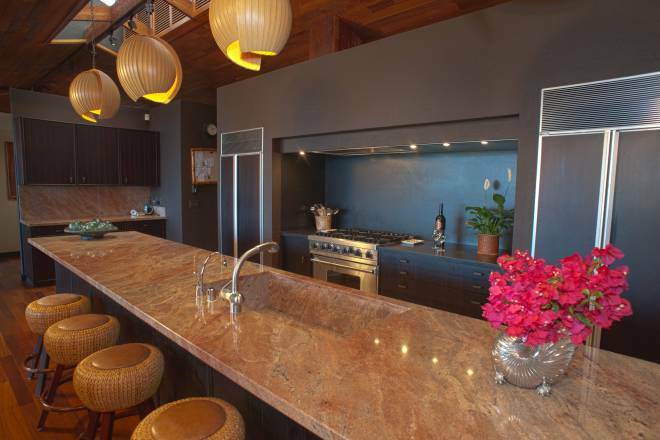 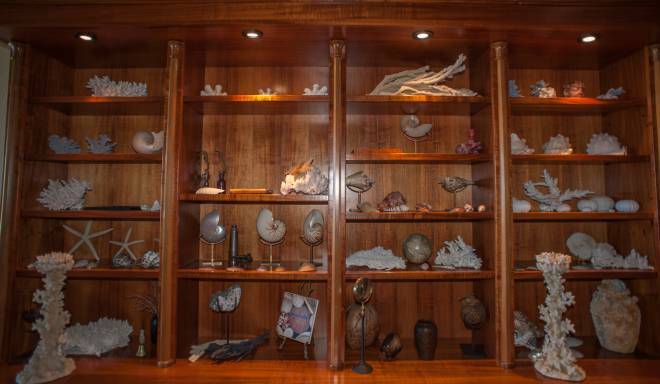 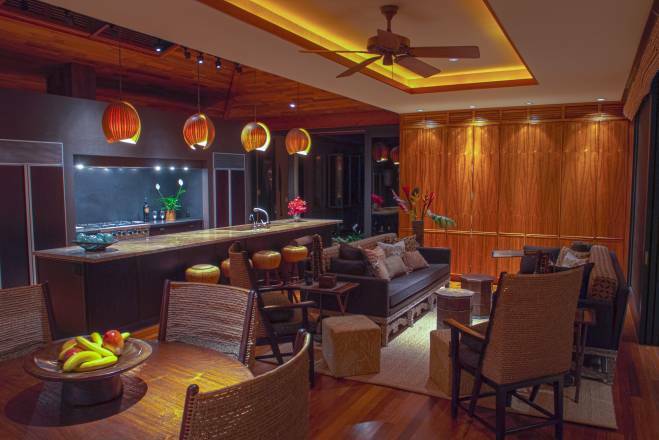 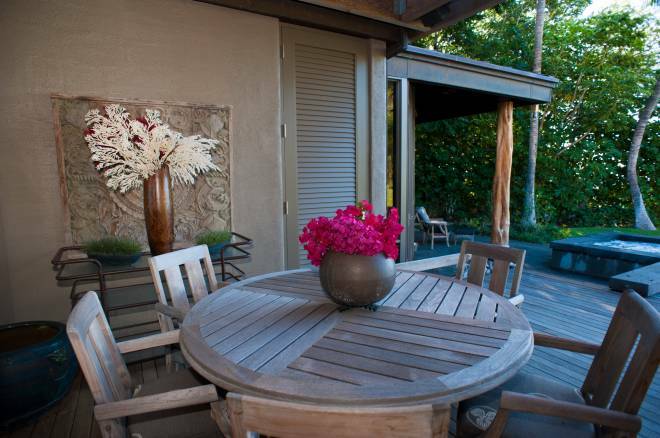 Private vintage home with elegant Hawaiian artifacts offers a casual but refined elegance. 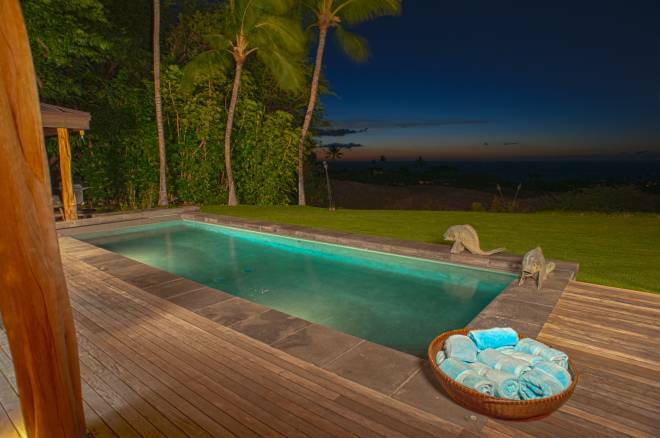 Enjoy fabulous ocean and sunset views from this serene and private home. 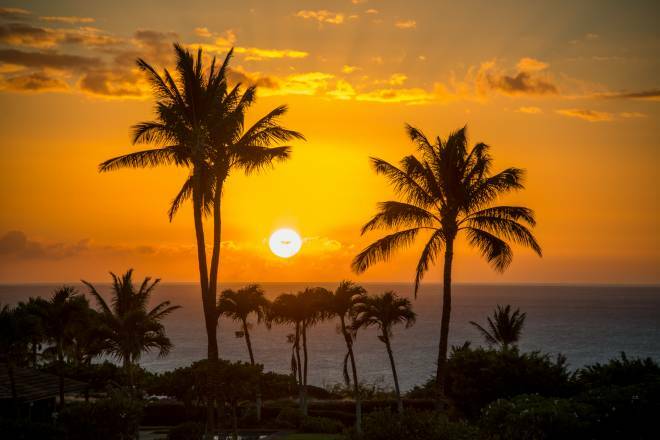 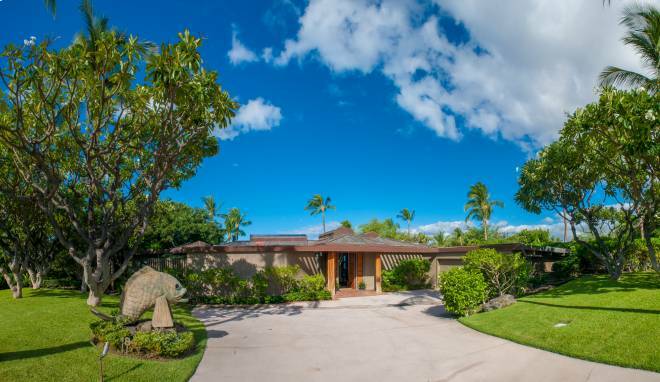 Enjoy your own private home on the grounds of the famed Mauna Kea Resort with an incredible front lawn looking out onto golf course and ocean views. 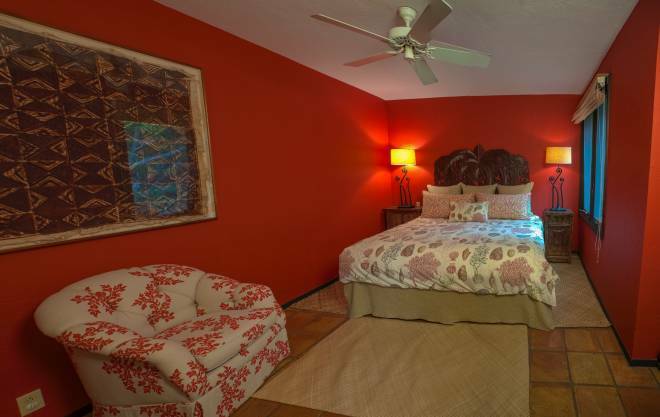 Very well kept, the home is beautifully decorated in a vintage, island style with different wings available for two master bedrooms. 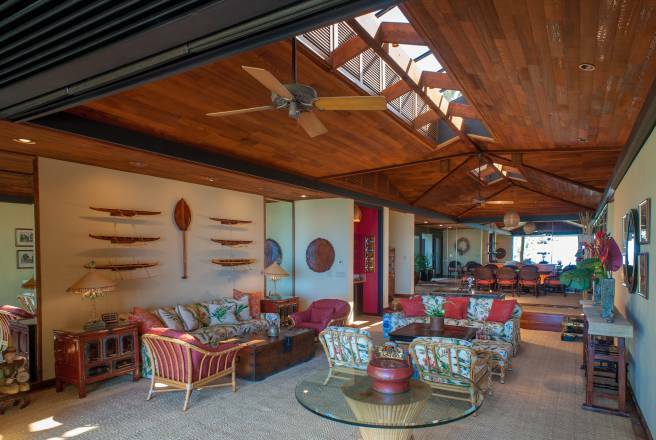 A large front deck with tall glass doors open up to provide indoor/outdoor living and special touches like a koi pond and Large Green Egg for Smoking and BBQ make this home the perfect option for a family retreat in Hawaii. 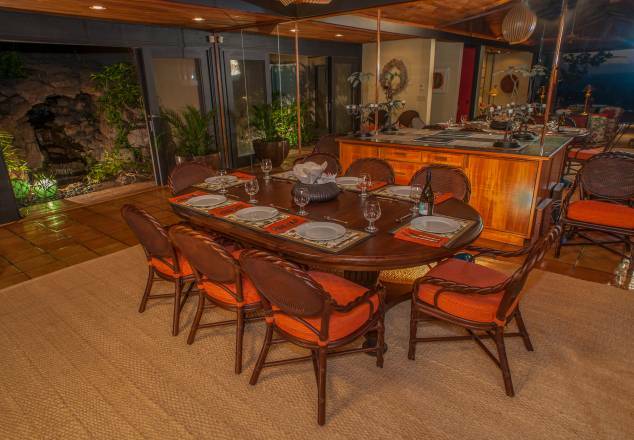 Fully Air Conditioned. 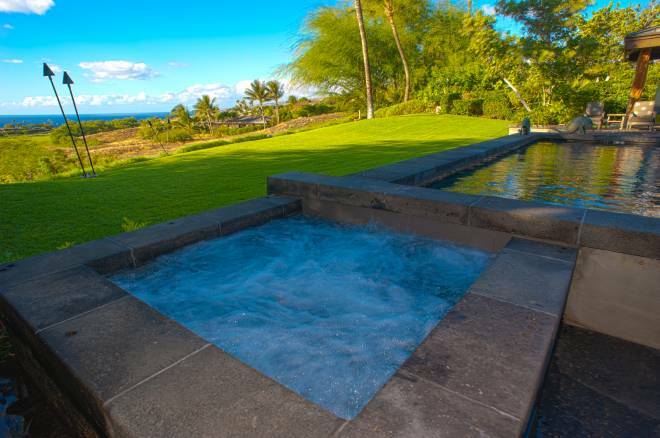 Beautiful Pool and Hot Tub. 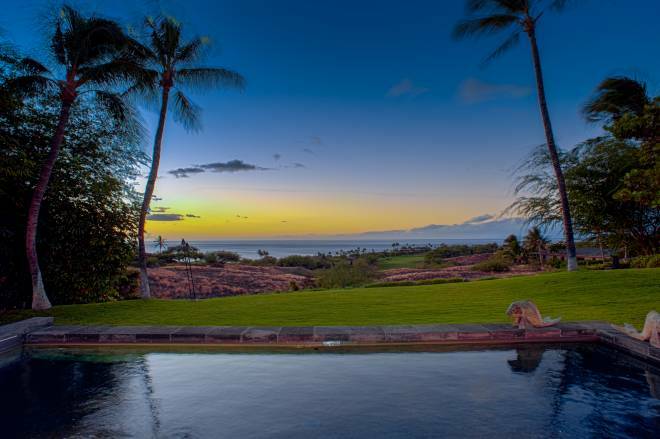 Great Ocean and Sunset Views. 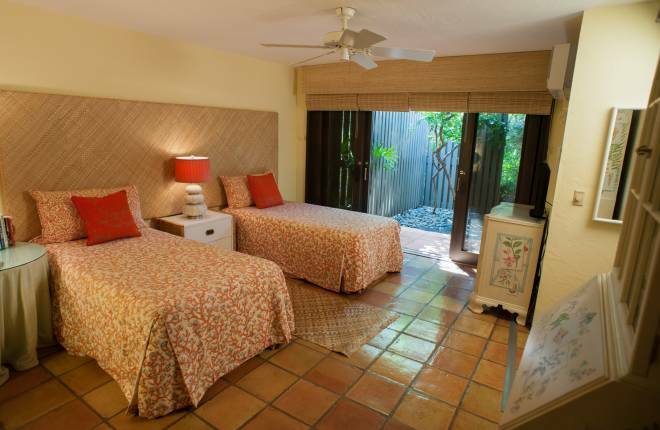 There are 5 bedrooms including two master suites each with their own king bed. 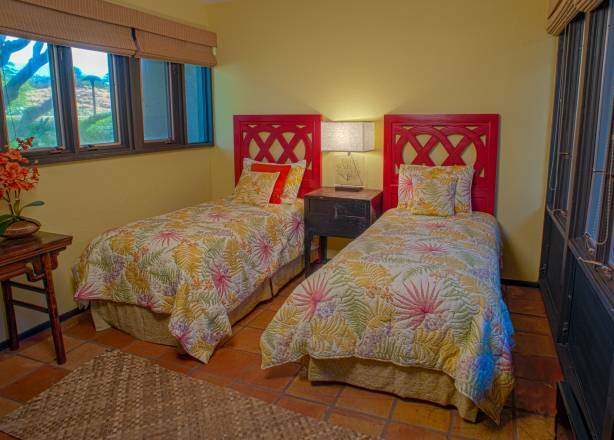 The other two rooms hold twin beds allowing to comfortably sleep 10. 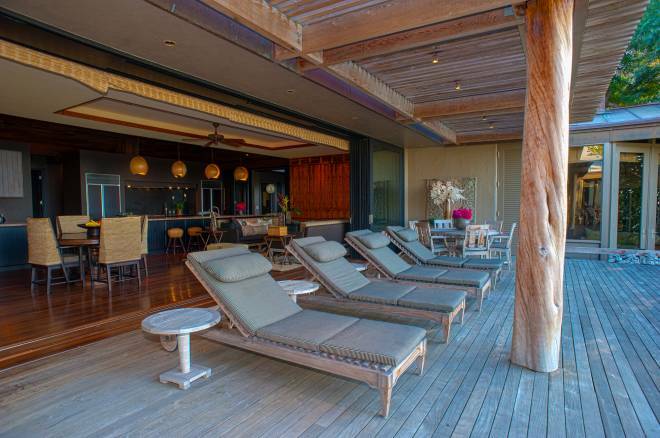 Up to 12, for the right party, may be slept in the home with rollaway beds.